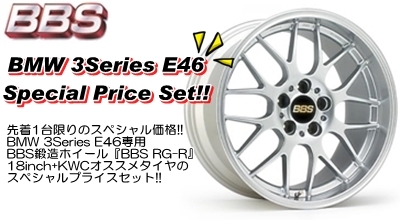 for-BMW 3Series BBS RG-R Special Price Set!! BS REGNO GR9000 225/40R18 Set!! MICHELIN Pilot Sport PS2 225/40R18 Set!! YOKOHAMA ADVAN Sport 225/40R18 Set! !